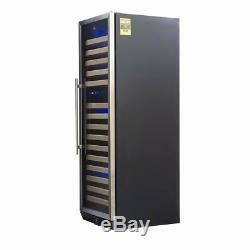 Dual Temperature Upright Wine Cooler. 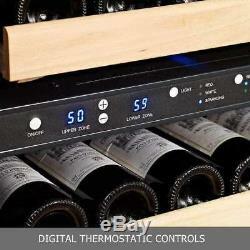 You don't keep all your eggs in one basket - why would you keep all your wines at one temperature? Keep all your styles perfectly chilled and ready to serve with a upright dual temperature wine cooler. This elegant dual zone wine cooler KBU-170D can be built in or used freestanding as the centerpiece for your bar, restaurant, or wine room. With a generous capacity, empty glasses will be a thing of the past. Long life, high quality, quiet running compressor that provides vibration free cooling throughout this dual temperature wine cooler. Unit is equipped with high-end digital display controllers that accommodate two different serving temperatures to store both Reds and Whites at their ideal serving range. Manufactured with our state of the art fan-circulated air-cooling system. Cool air blows and distributes throughout the cabinet to ensure temperature uniformity in the entire cooler. Our unique front-venting heat dispersion systems allow each dual zone wine cooler to be built in to cabinetry with minimal clearance, saving precious square footage. 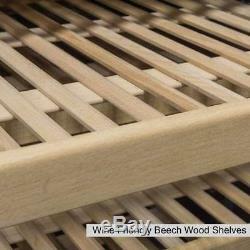 The beautiful hard wood shelves are strong, even under heavy loads, and warp resistant. Their spacing is optimized for maximum bottle capacity and designed with standard Pinot Noir, Bordeaux, Riesling, and Champagne/Sparkling Wine bottles in mind. Steel ball-bearing rollers ensure the effortless placement and extraction of bottles regardless of weight. Gas-charged, UV double-layer coated, tempered safety glass reversible door with stainless steel frame and stainless steel handle allows easy cleaning while protecting wine from both incandescent and fluorescent light sources. Features a built-in security lock with a spare key. 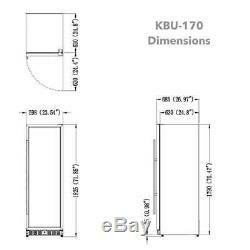 KBU-170D-SS comes with stainless steel door frame, KBU-170D-FG comes with borderless glass door. 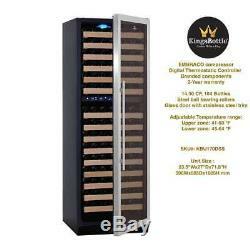 A dual temperature wine cooler from KingsBottle. Provides the storage you need with the craftsmanship and durability you'll love. Your guests will appreciate the pleasing aesthetic almost as much as they will appreciate having their favorite vintages perfectly chilled. 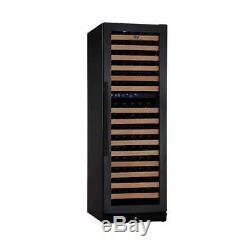 Order your built in dual zone upright wine cooler KBU-170D-SS model with glass door from KingsBottle today. Volume: 14.30 CF (405 Liter). 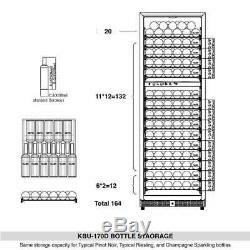 Storage capacity: 164 Bottles of Wine. Installation: Built In / Free Standing. Shelf Configuration: 15 beech wood wine shelves. Adjustable Temperature Range: Upper Zone 41-60°F; Lower Zone 45-64°F. At Min/Max Room Temperatures: 32-100°F. 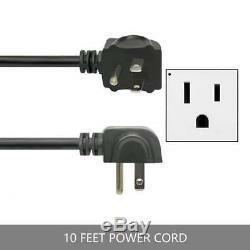 Rated Power Input: 200 Watts. Rated Current: 3.0 A. Unit Size: 23.5"Wx27"Dx71.8H. Net Weight: 286.6 Lbs. 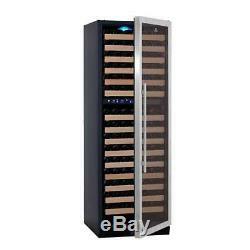 The item "164 Bottle Dual Zone Wine Cooler Drink, Upright Fridge with Glass Door" is in sale since Friday, December 29, 2017. This item is in the category "Home & Garden\Major Appliances\Refrigerators & Freezers\Wine Fridges & Cellars". 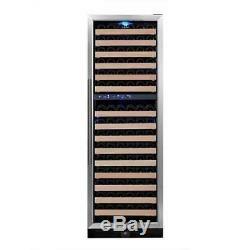 The seller is "kingsbottle-usa" and is located in Santa Fe Springs, California. This item can be shipped to United States.